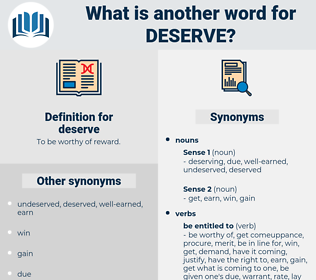 What is another word for deserve? 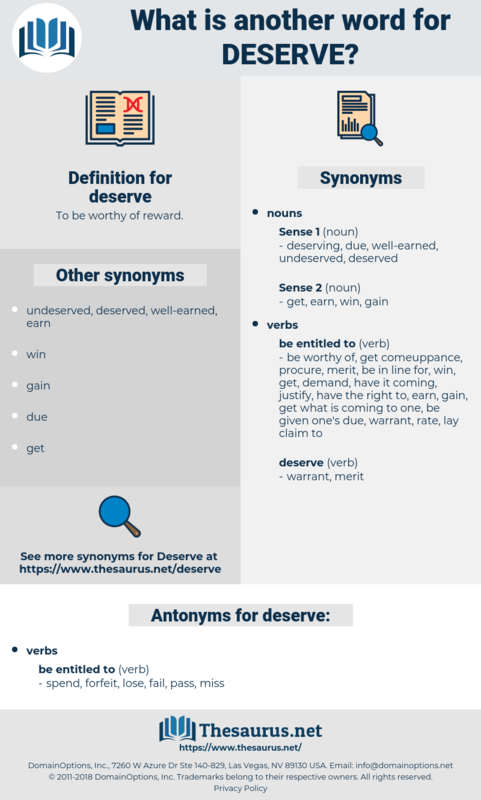 To be worthy of reward. merits, earn, warrant, need, merit, serve. merits, earn, warrant, need, merit. spend, forfeit, lose, fail, pass, miss. I am tempted to give you what you deserve for that! When you and I, who deserve - oh! Discerp, desorb, digraph, describe, dysgraphia, disrobe.